Although not strictly news we would like to invite friends and family to join us on Easter Sunday at St Mary's Church in Sturminster Newton. Staff and residents, who wish to do so, will be escorted across to the church for the Easter Sunday service. We extend this invitation to return with us to Nazareth Lodge for lunch. As space is limited we will only be able to cater for a limited number of guests and therefore ask that you contact the office to let us know if you would like to join us so we can ensure we have enough for everyone. 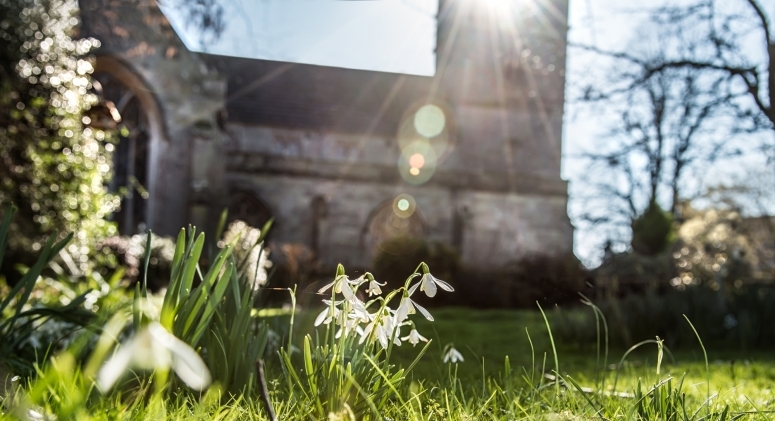 If you are planning on visiting the home on Easter Sunday, please let us know so we can advise you if your relative will be available or if they will be at church. As a retired District Nurse of some years experience I was encouraged to discover such a well run home as Nazareth Lodge when we moved to the area some years ago.